Laurel Biddy is a news producer and director for WUFT-TV. She enjoys organizing everything behind the scenes and seeing ideas come to life. Local news is Laurel’s first love, but working on “Locked Out” has inspired a passion for longform storytelling. She also works as a freelance technical director for the SEC ESPN Network. Upon graduating in December 2018, Laurel will continue to produce creative content for a local station. You can find Laurel’s most recent content online at www.LaurelBiddy.com and @LaurelBiddyon Twitter. David Jones is a main anchor and reporter for WUFT News. David’s biggest passions include traveling and visual storytelling. Through his reporting in Gainesville, David has covered events ranging from Hurricane Irma to Spencer’s speech at UF. David is passionate about other cultures and is pursuing a concentration Latin American Studies. After graduation, David hopes to continue his work as a multimedia journalist at a local news affiliate. You can find David online at www.DJonesTV.com and @DavidJonesTV on Twitter. Grace King is a main anchor, producer and reporter for WUFT News focusing on politics and policy. 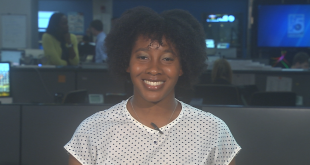 She’s covered multiple stories garnering national attention such as the March for Our Lives in D.C., Hurricane Irma, Richard Spencer’s visit to UF, and the MLB All-Star Game in Miami. This summer, she’s interning for NBC News’ “Meet the Press” in Washington, D.C. When she’s not reporting, Grace enjoys dance and is pursuing a concentration in ballet. Grace hopes to continue anchoring and reporting after graduation. You can find Grace online at www.GraceKing.com and @GraceLKing on Twitter. Alexa Lorenzo is a main anchor and reporter for WUFT News. Originally from Miami, she is now a senior at the University of Florida and plans on graduating in May 2018. Alexa has won awards for her breaking news coverage of the Richard Spencer rally in Gainesville and has been recognized nationally for her feature stories. You can find Alexa online at www.AlexaLLorenzo.weebly.com and @AlexaLLorenzo on Twitter. 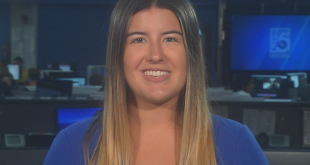 Sofia Millar is a bilingual journalist for WUFT News and Noticias WUFT. She has a passion for multicultural journalism that goes beyond language and cultural barriers. Sofia’s passion for international journalism has also led her to interview leaders around the world. After graduation from the University of Florida in December 2018 she hopes to travel the world telling the stories of the people who inhabit it. When she’s not in the newsroom, she’s exploring new cities, and learning about the people who live in them. You can find her online at www.sofiamillar.wix.com. Meredith Sheldon is a main anchor and reporter for WUFT News. Her greatest passion is writing and telling stories. She recently developed a new love for video storytelling. Originally from South Florida, Meredith is a junior at the University of Florida, where she studies journalism and health education. She hopes to combine her passions for health, storytelling and investigative reporting when she graduates next year. You can keep up with her on Twitter @MeredithSheldon. 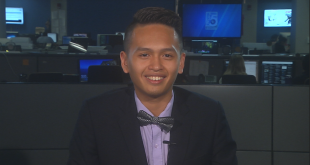 Ramsey Touchberry is an anchor and multimedia reporter for WUFT News where he primarily covers government and politics. As an award-winning journalist, Ramsey has covered the state’s top stories from Parkland’s March For Our Lives to Florida’s legislative session in Tallahassee. Ramsey is also a former USA Today College Correspondent where he reported on national and international stories focused on higher education news. You can find all of Ramsey’s reporting online at www.RamseyTouchberry.com and on Facebook @RamseyTouchberryNews. Sara Girard is a graduate student at the University of Florida and an award-winning multimedia journalist. Her greatest passions are giving a voice to the voiceless and telling impactful, investigative stories. Sara has covered major events including the 2016 presidential election, the Richard Spencer protest and March for Our Lives in Gainesville, and multiple hurricanes. Upon graduating in August 2018, she hopes to continue working in local news where she can really connect to the community. You can find Sara online at www.SaraGirardNews.com. Harrison is a news manager in the Innovation News Center at the University of Florida who oversaw “Locked Out: Florida.” Hove primarily oversees television and video content for university-owned media outlets and teaches video journalism courses. He previously worked for television stations in Florida, Ohio, and Louisiana. Hove has won 7 regional Emmy Awards and earned 21 nominations for his broadcast news work. Jeremy Campbell is an Investigative Reporter for WXIA 11Alive Atlanta. He and his team take a digital, episodic approach to storytelling. In addition to winning Emmys, Murrows, and the NAB’s President’s Award, his investigations have been recognized by the VA and the U.S. State Department. You can find Jeremy on Facebook, Twitter, Instagram and his website, www.JeremyCampbell.tv.